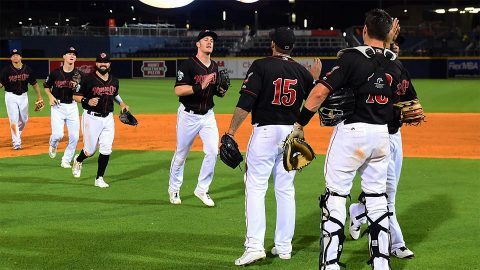 Reno, NV – The Nashville Sounds slugged their way to an 8-5 victory over the Reno Aces Friday night. The Sounds clobbered four home runs in the contest while three players recorded multi-hit games. 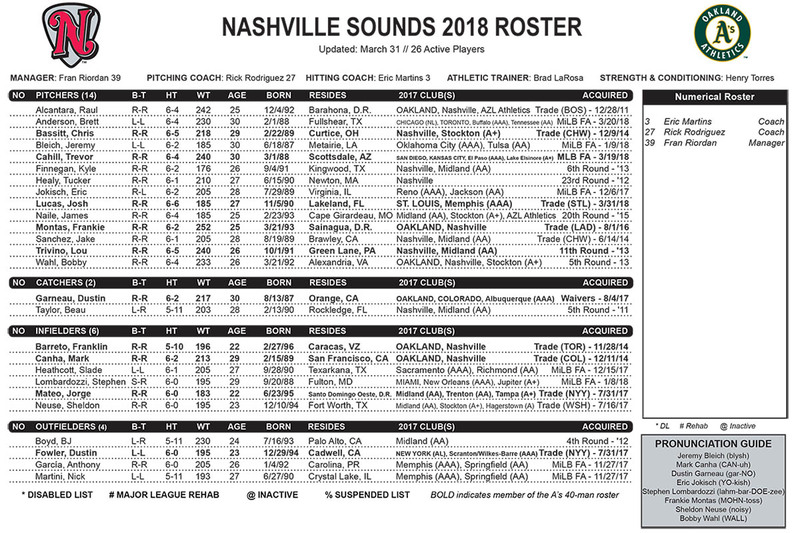 The Sounds gave Aces starter Taylor Clarke a rude welcome to the Triple-A level. Nashville tagged the young right-hander for eight runs on nine hits including all four of Nashville’s home runs. Nashville spotted Corey Walter a 1-0 lead after the top half of the first inning. 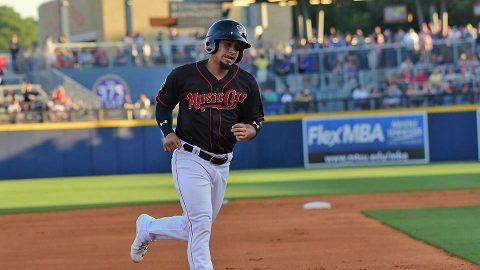 Franklin Barreto launched an opposite field home run to put the Sounds on top. For Barreto it was his 14th home run of the season between Nashville and Oakland, which set a new single-season high for the A’s top prospect. 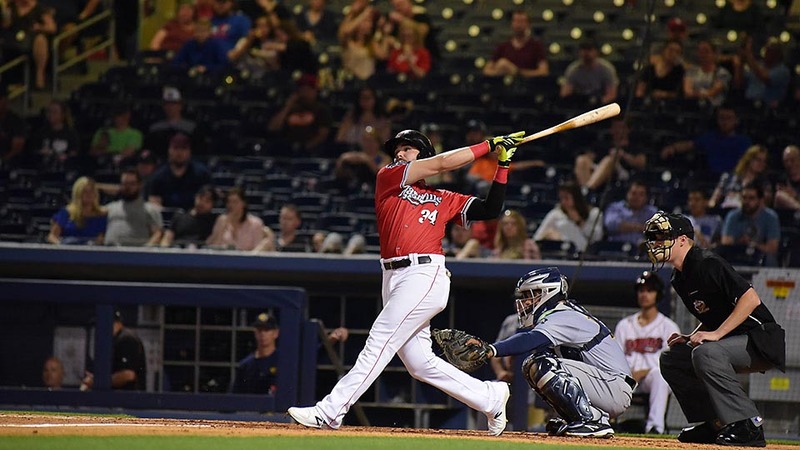 New Orleans, LA – The Nashville Sounds launched four home runs and got a solid performance from starter Chris Jensen en route to a 7-5 win over the New Orleans Baby Cakes Friday night in New Orleans. Franklin Barreto got the party started immediately when he drilled the first pitch of the game from William Cuevas over the center field wall for a leadoff home run and 1-0 lead for Nashville. 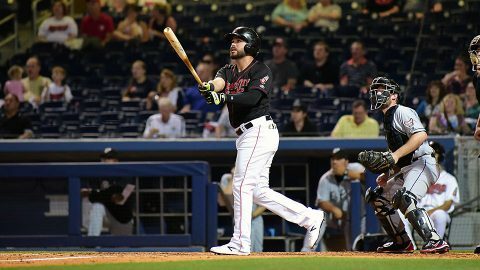 Ryan Lavarnway, Chad Pinder, and Yairo Munoz added solo blasts for the Sounds (47-52). The four homers are the second-most for Nashville in a single game this season. Colorado Springs, CO – In a game with plenty of fireworks on Independence Day it was the Colorado Springs Sky Sox who emerged victorious over the Nashville Sounds 9-8 Tuesday night. The two teams combined for 17 runs on 24 hits but it was a costly error in the bottom of the eighth inning that pushed the Sky Sox over the top. With the score tied 8-8, one out, and a runner on second base for the Sky Sox in the bottom of the eighth inning, Lewis Brinson grounded a ball to Sounds shortstop Marcus Semien. Semien collected the ball smoothly but air-mailed the throw over the head of first baseman Matt McBride to put runners on the corners. 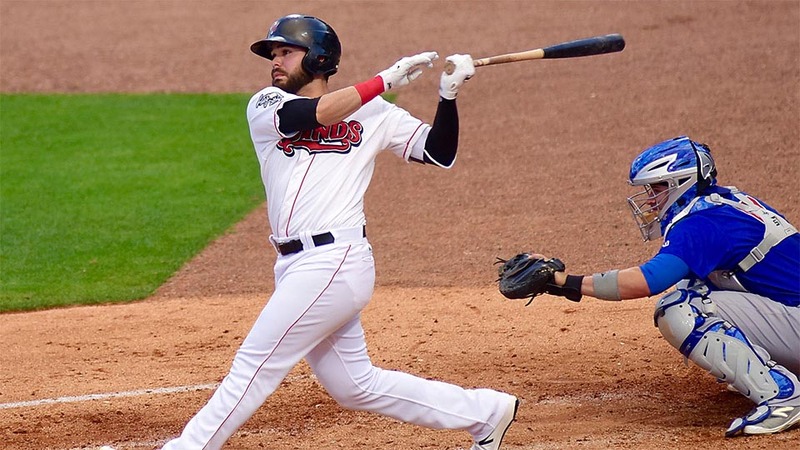 Oklahoma City, OK – The Nashville Sounds finished on the wrong side of a 4-2 contest Friday night against the Oklahoma City Dodgers at Chickasaw Bricktown Ballpark. 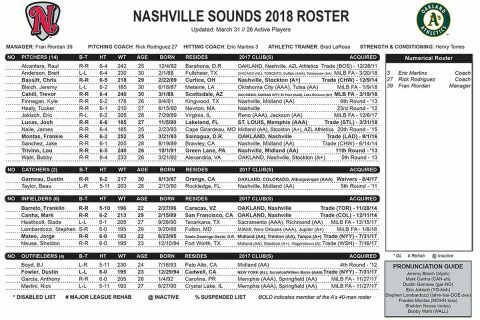 The loss drops the Sounds’ record to 36-37, below .500 for the first time since May 20th when they were 19-20 after a loss to Sacramento. Following Ryan Lavarnway’s sacrifice fly in the eighth, the Sounds loaded the bases with two outs; but the team’s final rally ended on a strikeout to outfielder Kenny Wilson. 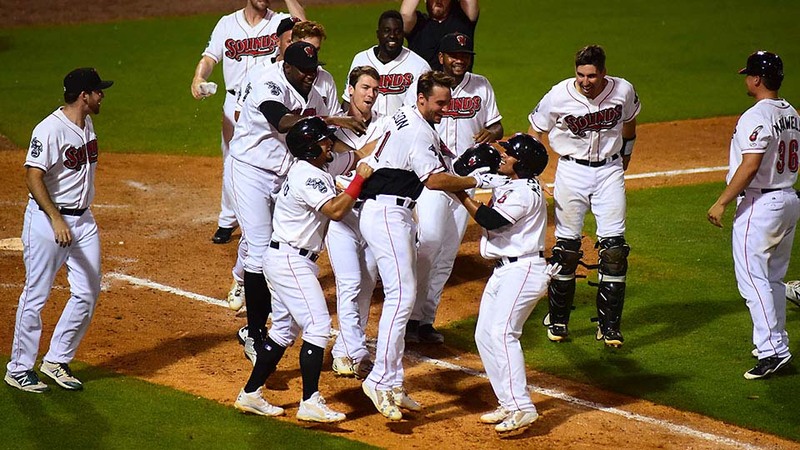 Nashville, TN – Matt Olson’s walk-off three-run homer gave the Nashville Sounds a 6-3 win in game two of Tuesday’s doubleheader at First Tennessee Park. The dramatic homer completed a furious comeback and helped the Sounds earn a doubleheader split in front of 7,734 fans. The Sounds’ offense was in a major funk and trailing 3-0 in the bottom of the sixth inning when Joey Wendle cracked a three-run blast off Baby Cakes reliever Javy Guerra to even the game at 3-3. 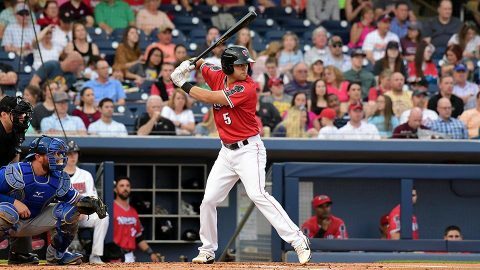 It snapped a 19-inning stretch in which the Sounds failed to score a run. 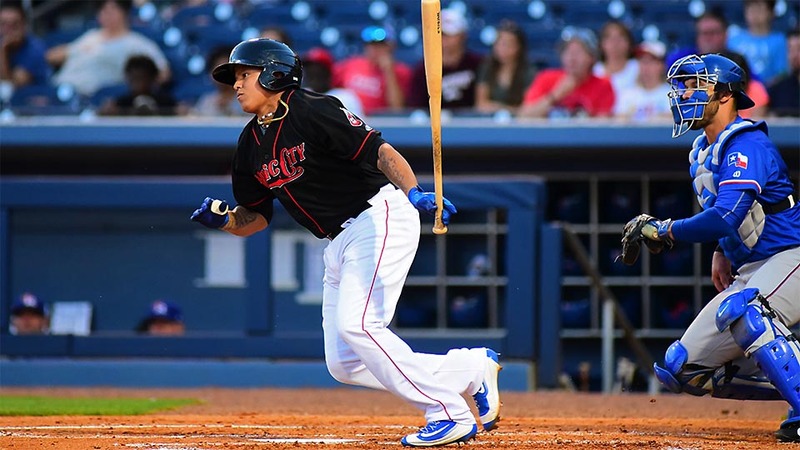 Nashville, TN – It was a sloppy Thursday night in Nashville between the Sounds and the Iowa Cubs in front of 10,469 fans at First Tennessee Park. A total of six runs scored but just two were earned in Iowa’s 4-2 victory. The first two batters of the ball game reached on base hits for the Sounds. Franklin Barreto came around to open the scoring on a sacrifice fly from Matt Olson. Nashville starter, Paul Blackburn was superb through the first five innings but things unraveled for him in the sixth. Stephen Bruno reached on an error by the shortstop Franklin Barreto. Blackburn then issued back-to-back free passes to load the bases for Jacob Hannemann who promptly singled home the game-tying run. 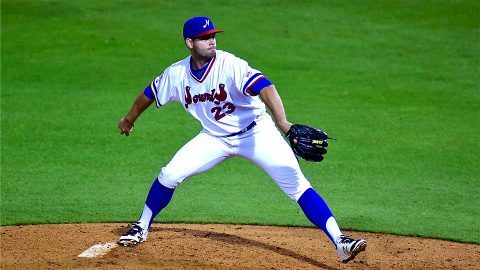 The Sounds hurler recorded outs on the next two hitters but yielded a two-run double to Victor Caratini to surrender the lead to the I-Cubs.